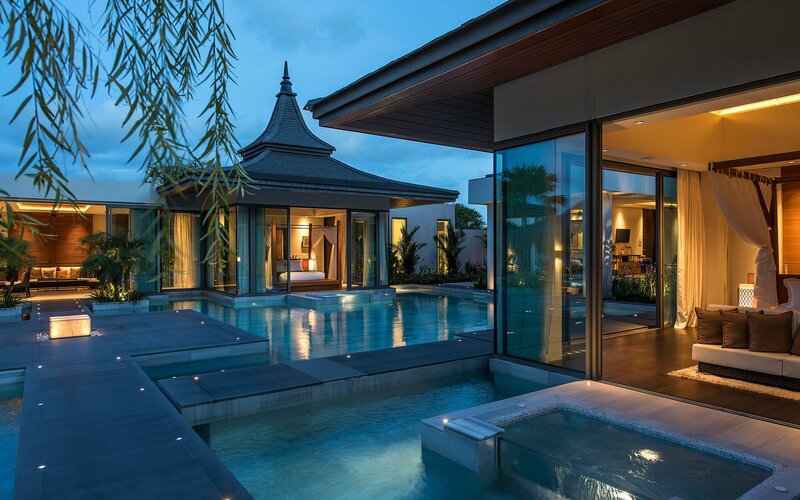 The Resort Villa Thailand is a luxury resort and secret paradise that offers unforgettable experiences for those that seek an indulging getaway in privacy. With 14,000 m² of tropical property, 7 villas, 60 full-time staff, a 5-minute walk from the beach and more, this exclusive resort located in Rayong Thailand will take your breath away. 15m aquarium, and much more. in privacy with fun-filled activities and surprises. At our Serenity Spa, you can relax and reconnect to your body’s wellbeing, re-energizing your mind, body and soul through a series of transformative and personalised wellness therapies. Our head chef and highly skilled team draw on the abundance of the freshest homegrown produce, tropical fruits and spices to immerse you in an amazing culinary adventure. Our team is here to help make your holiday truly unique and unforgettable. From private boat charters, water sports, to scenic tours, you can tailor your holiday exactly to your imagination and beyond.